Volume Eyelash Extensions are multiple eyelashes attached to an existing natural eyelash (3D-4D). 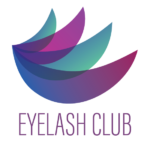 These lashes are very light and don’t weigh down or damage the natural lash. Volume lashes also have longer bond times.